Cruise ship operator Royal Caribbean boosted its quarterly payout by 16.7% on Sep. 6, proving executives feel that current good times for the industry are likely to last or even improve. Traders could approach Norwegian Cruise Line from the long side risking to $48 and looking for gains to the $60 area. 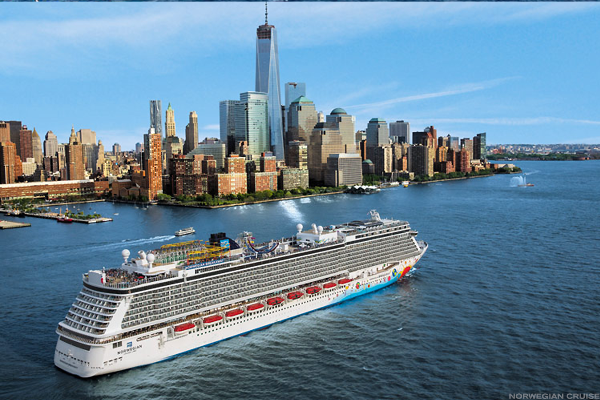 Norwegian Cruise Line is seeing solid trends across the board in its business. Yet, Wall Street has sent the stock lower by 6% this year. Looking to get ahead in life? Take some top business advice from two leading CEOs. Let's make a quick stop in port and check the charts and indicators. Two examples of stocks offering discounted opportunities. Tractor Supply and Norwegian Cruise Line Holdings offering discounted opportunities. TheStreet's founder and Action Alerts PLUS Portfolio Manager Jim Cramer said Norwegian Cruise Line NCLH is a bargain for millennials. TheStreet's founder and Action Alerts PLUS Portfolio Manager Jim Cramer weighs in on Friday's trending market topics. Demographics favor the three big players in the cruising industry. Each is well off its 52-week high. Many pay generous dividends. All sport healthy balance sheets and generate solid profits. A "dirty dozen" of stocks likely to see outsized gains in the next 12 months.